Porcelain veneers and bonding are two common cosmetic dental procedures that are often confused with one another. Yes, both can significantly improve the appearance of your smile, but there is where the similarity ends. An increasing number of patients are opting for porcelain veneers over bonding for their smile transformations. To understand why, it’s necessary to find out how veneers differ from bonding. Porcelain veneers are extremely thin, shell-like pieces of porcelain that are shaped to look like natural teeth. They are custom-designed for each individual patient, meaning that each set is completely unique, and can improve the height, width and placement of your teeth, creating a more esthetically-pleasing smile. The veneers are attached to your natural tooth using a special adhesive, which bonds it to your natural enamel, giving it additional support and strength. Bonding can also transform the appearance of your smile, minimizing imperfections and creating a more uniform and attractive appearance. Bonding uses a specially-formulated composite, putty-like resin which is pasted on to your teeth and hardened using a special curing light. What are the benefits of porcelain veneers over dental bonding? One of the biggest benefits of porcelain veneers is that they are substantially more resistant to stains and discoloration than bonding resin. Patients who opt for bonding often find themselves scheduling regular tooth whitening sessions in order to maintain the esthetic appearance of their teeth. Porcelain is much closer to the normal enamel of teeth than the resin used in bonding. This makes them far more discreet and your smile all the more natural. Porcelain can be created in a much wider variety of shades than the resin used in dental bonding. This enables patients to pick the right degree of whiteness for their smile to look natural and beautiful. It is generally accepted that porcelain veneers have a longer lifespan than restorations completed using dental bonding. Many patients find that their veneers can last as long as 15 years without requiring repair or replacement. Veneers are usually created in a complete set to provide a total smile transformation. 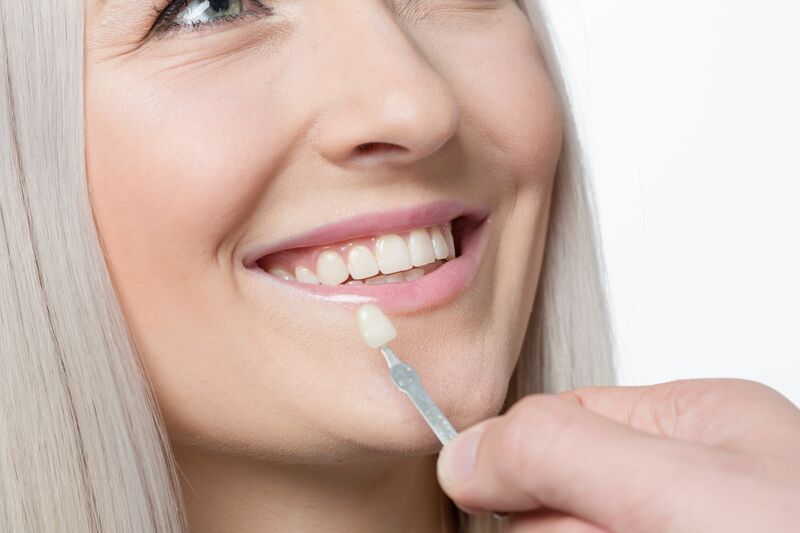 Many dentists consider bonding resin to be best suited to covering small imperfections across individual teeth, rather than providing a complete smile makeover. If you are interested in making improvements to the appearance of your smile and would like to find out more about either porcelain veneers or dental bonding, make an appointment with your dentist to discuss your options today.